The four photographs below were all taken in Cornwall and Scilly. 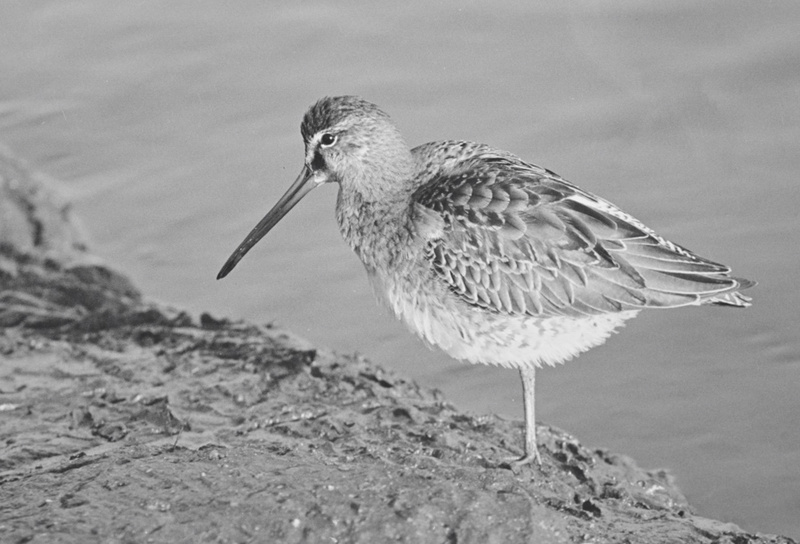 Black and white photography was Stuart's favourite medium. In fact, of all the photo's given to me, none are in colour! 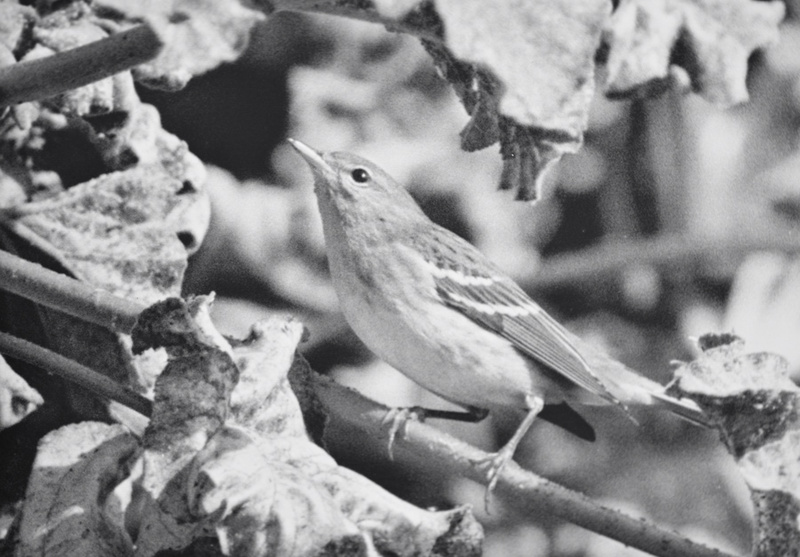 Blackpoll Warbler, most likely the St Agnes bird in October 1984. 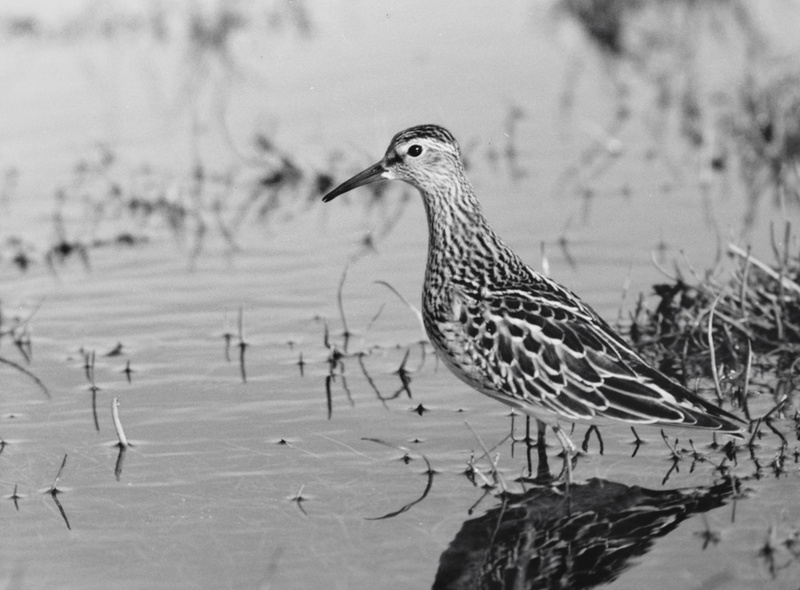 Juv Pectoral Sandpiper at Stithians Reservoir. 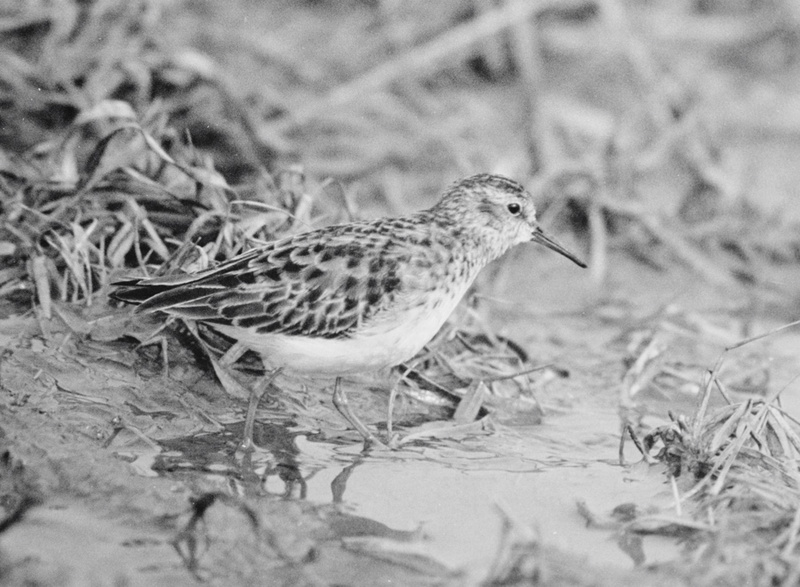 Least Sandpiper, Feb 1986. Twitched by hundreds of birders as it fed on the cliff edge near Portscatho.